My warmest greetings and felicitations to all the officials and employees of the City Government of Balanga. The Department Heads who shared their talents and time, our abled and ever supportive Vice Mayor Noel Joseph L. Valdecañas and our young, energetic and talented City Mayor Jose Enrique S. Garcia III. 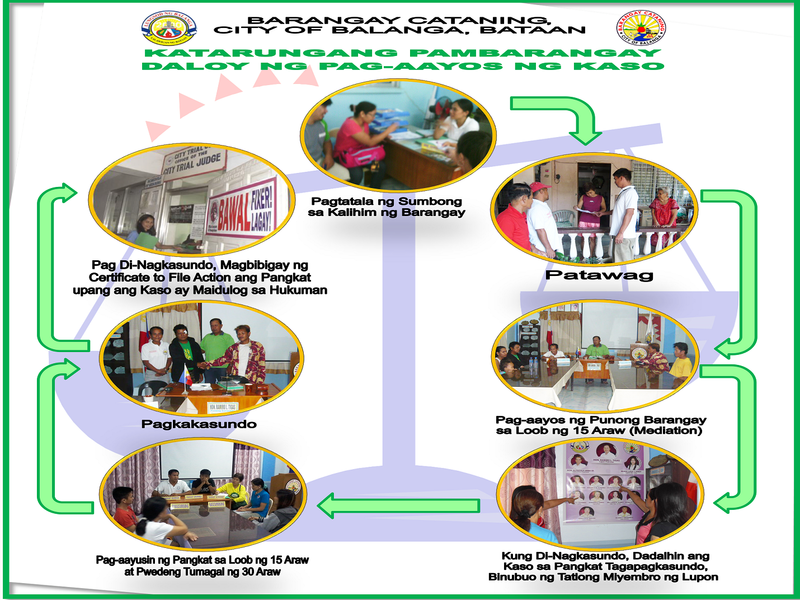 Cataning, an agricultural Barangay and the future food basket of the City of Balanga has a lot of potentials and skills to contribute in the development of the Barangay and the City as a whole. God fearing citizens, environment friendly and with responsible citizenry who are willing to undergo challenges for the advancement and development of the Barangay. With the present trend in the world of information technology, our barangay can now be reached in every corner of the world through our very own interactive website. Thank you Mayor Joet Garcia for this wonderful program. It’s truly a “World Class”. This technology will uplift the status of our barangay and this could be one of the answers to our fervent prayers and battlecry “Pagpapaunlad ng Cataning . . . . . Pagtulungan Natin”.